Barbie Dunn, MSN, NP, Ph.D. (B.S. '70/N; Ph.D.'84/SW) knows how she wants her money spent. To make sure her wishes are fulfilled, even after her death, Dunn has included VCU School of Nursing in her will. "I am very picky about how I want my money used, and I have specific kinds of things I want to support," says Dunn. "It is important to me that when I die the distribution of any money left over not be left up to my husband (Keith McGrath) or any other executor ... Keith would probably give it all to the University of Richmond Spider Club!" A planned gift, she says, also will allow her to make a bigger impact on her alma mater. "The thing about planned giving for many people like me, who may not be able to give large donations during their lifetime, is that they can sometimes give a much larger gift through a designation in their wills," she says. Planned gifts allow the university flexibility in funding the most pressing needs at a specific time. Dunn is a charter member of the MCV Society, which honors donors to the MCV Campus who have made provisions for the university in their estate plans. 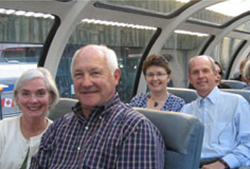 Members of the MCV Society gather several times a year for special events, such as trips to wineries or other locales, for socializing and continuing engagement with the university and the MCV Foundation. "I hope more people will consider planned giving as a way to leave a legacy with institutions and organizations that they really care about," she says.